California Poet Laureate Dana Gioia will talk about “The Joys of Poetry and Prose” during a special presentation at California State University, Northridge on Thursday, Nov. 16. Gioia’s free public lecture will take place from 4 to 6 p.m. in the Robert and Maureen Gohstand Leisure Reading Room on the second floor of the Delmar T. Oviatt Library, which sits at the center of the campus located at 18111 Nordhoff St. in Northridge. An internationally acclaimed and award-winning poet, Gioia was appointed California Poet Laureate by Gov. Jerry Brown in 2015. 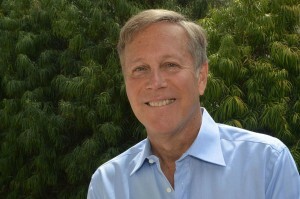 Gioia served as chairman of the National Endowment for the Arts from 2003-09. He has published five full-length collections of poetry and won the Aiken-Taylor Award for lifetime achievement in American poetry in 2014. In addition to the poetry collections, he has published three volumes of literary criticism, as well as opera libretti, song cycles, translations and more than two dozen literary anthologies. Gioia is the Judge Widney Professor of Poetry and Public Culture at the University of Southern California. While the event is free and open to the public, reservations are suggested. To reserve a seat, call (818) 677-2638 or visit the website https://library.csun.edu/events/dana-gioia. Gioia’s appearance is part of a free lecture series supported by CSUN’s Distinguished Visiting Speakers Program. Persons with disabilities needing assistance may email library.event@csun.edu in advance for arrangements. For directions and parking details, visit http://www.csun.edu/parking/visitor-parking-information.